Please click here to view pictures from the festival. It is hoped to organise a Jersey vs Africa football match(es) for adults and youths to celebrate Jersey’s many business, cultural and charitable links with Africa. With the generous support of Ady Bougourd and Darie Ilie of Planet Poker two successful poker fundraisers were organised in March and again in November 2014. The joint tournaments raised over a thousand pounds, a fantastic effort and thanks to everyone who contributed. 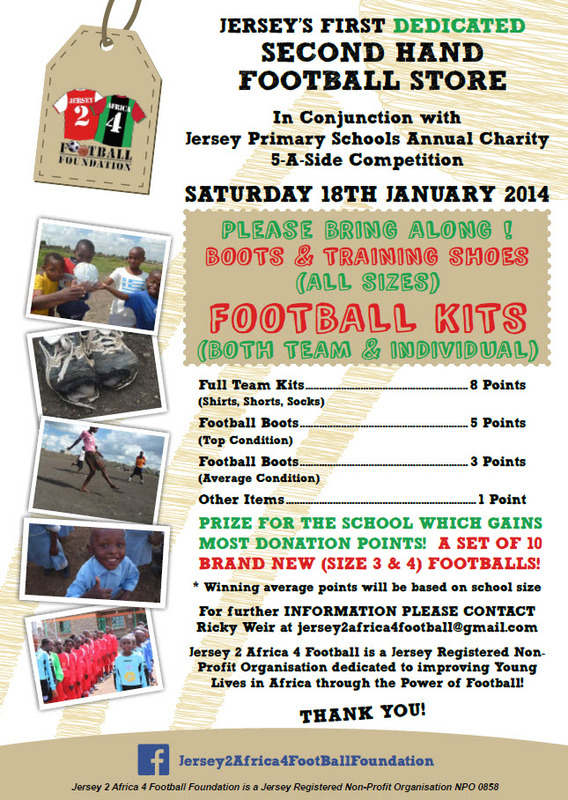 On its first anniversary Jersey 2 Africa 4 Football runs a competition in partnership with the Jersey Primary Schools Football Association appealing for the schools and children to donate unwanted balls, boots and kit. Schools were ‘graded’ from large to small so that each school had a fair opportunity to win the competition by bringing along the most donations. 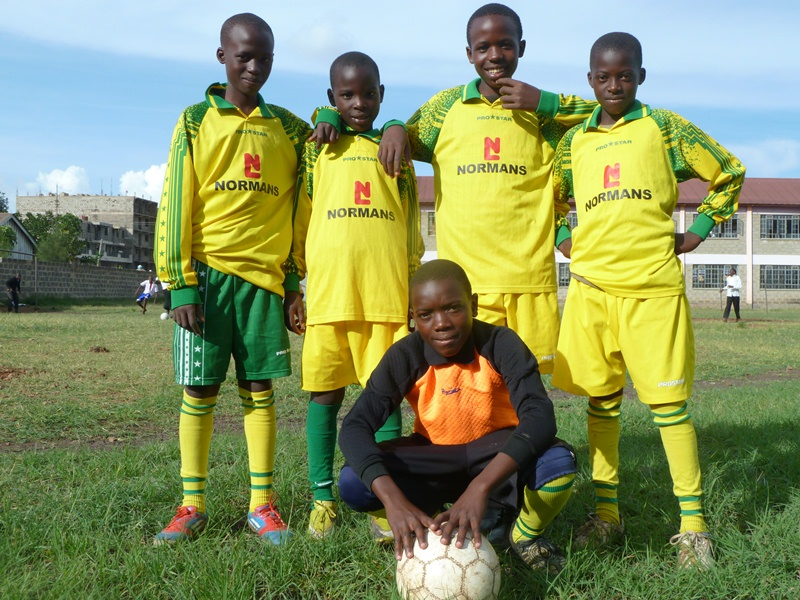 Springfield Primary were proud winners of the competition and received 10 brand new footballs, whilst their donated kit was being proudly sported by some young African boys in Nairobi only a couple of months later.